Just yesterday, TSTV made their new Sassy decoder official. You might be wondering what Sassy decoder is all about. Why the name Sassy? It sounds feminine right?. The new Sassy decoder has been scheduled to go on sale on the 1st of April 2018. Though there's no official statement on which state that will get it first. We just hope they don't disappoint Nigerians again. 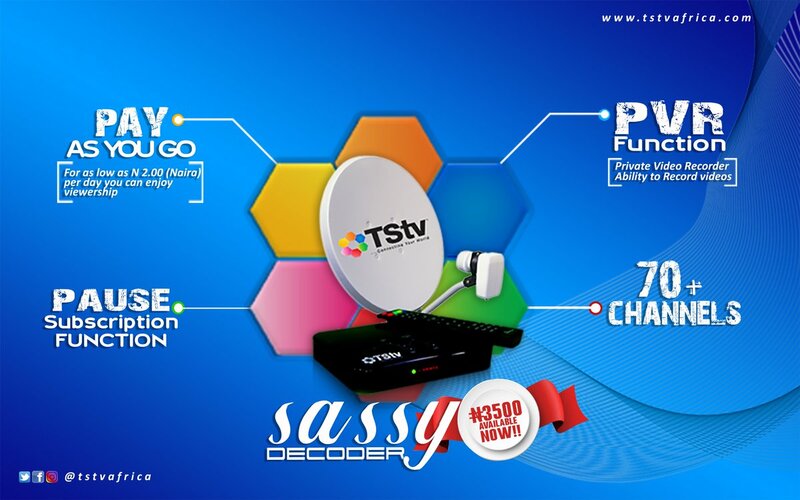 Before getting the yet to be launched Sassy decoder, there are some things you need to know. In this post, we will reveal the hidden truth of Sassy decoder. Pause Subscription: Sassy decoder comes with Pause subscription. You can only pause your subscription for seven days. Which means you have 7 days of grace plus your 30 days validity period? PVR Function: You can record videos with sassy decoder and play later. Daily Subscription cost as low as N200, 3 days subscription (N500), Weekly subscription (N750) etc. 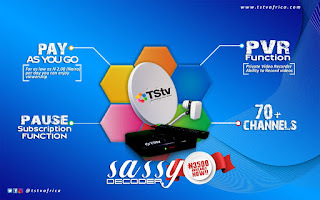 TSTV Sassy decoder is not internet enabled hence you won’t be getting the free 20GB or 10GB data as promised. There are two set of decoders, the other is Dexterity which comes with the free 20GB data + 200 Channels but won’t be on sale for now. Only Sassy will be on sale come 1st of April 2018.
thanks a lot for this piece of information, this has said a lot about TSTV, What i just notice about them is that they dont know how to start their business in Nigeria.